Dave is the Chief Information Security Officer and Director of Cyber Security Operations at the H. Lee Moffitt Cancer Center and Research Institute in Tampa, Florida. With over 25 years of experience in information technology, Dave’s experience spans across federal and private sectors – concentrating predominantly on information systems, network and engineering operations and within the last 10 years focusing on cyber-security initiatives. Dave’s role in his current and past positions have been to establish a robust cyber security management program that fits within the strategic vision of the organization. This involved not only building security teams but revamping policy and procedures. His current responsibility include managing a Security Operations Center and an Identity and Access Management initiative for Moffitt. 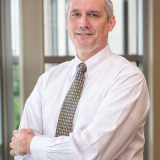 Prior to his role at Moffitt, Dave held the Chief Information Security Officer role with the University of Alabama at Birmingham Health System and Manager of Information Security at Bayfront Medical Center in St. Petersburg Florida. Before entering the healthcare sector, Dave left a 21 year federal career with the Department of Defense where he held various roles including the Naval Sea Systems Command’s Technical Representative for a major missile defense program, security data custodian, Information Systems Security Officer, Data and Configuration manager and Change Control chairman for several military programs. Dave earned his undergraduate degree in Information Systems Management from the University of South Florida and his Masters in Information Security with a Digital Forensics concentration from Norwich University. He maintains the Computer Information Systems Security Professional (CISSP) and Certified Ethical Hacker (CEH) certifications and is currently a member of the Florida InfraGard, Central Florida ISSA and AEHIS. Check out the incredible speaker line-up to see who will be joining Dave .